The PBE has been updated! We have a new voidling spawning Void Gate item, a texture rebalance for Malzahar and all of his skins, a new loading screen for LotPK, and several tentative balance changes! As briefly mentioned when the preseason itemization changes started a few months ago, a new voidling spawning VOID GATE item has been added to the game! UNIQUE Active: Spawns a gate at target location for 150 seconds (150 second cooldown, can't be placed near turrets). Every 4 seconds the gate spawns a volatile voidling that travels down the nearest lane. These voidlings explode when attacking structures and will ignore champions. Voidlings and Void Gates get stronger based on champion level." While it is not noted in the item description, these voidlings will grant you gold if they kill a minion. Here's a video preview of Void Gate, including spawning, voidling attacks, and voidling explosions. 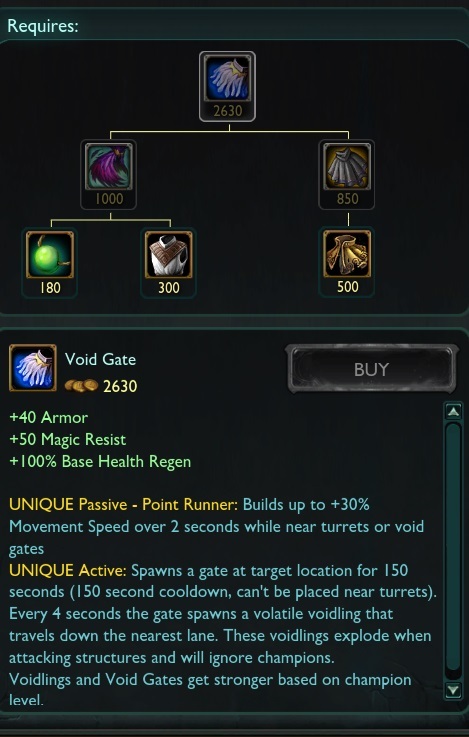 *NOTE*: Void Gate is currently BUGGED in this PBE build and has no cooldown instead of the 150 second cooldown... which leads to some pretty interesting situations. Check out a video here. Joining Shen, Malphite, Xin Zhao, and Wukong from an earlier patch, Malzahar has received a texture rebalance - updates to his textures aimed at bringing him closer to today's art style. Remember, these do NOT replace future visual updates! and here's a video comparison for each of his updated skins. 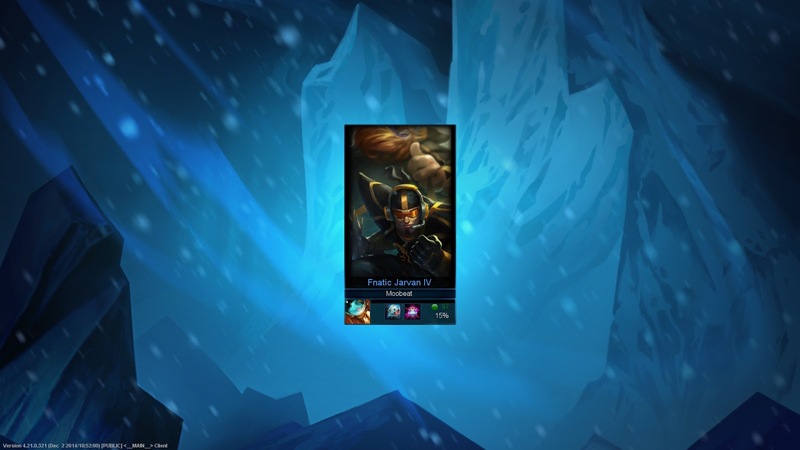 Legend of the Poro King is now available for testing in custom games and has it's own unique loading screen background! 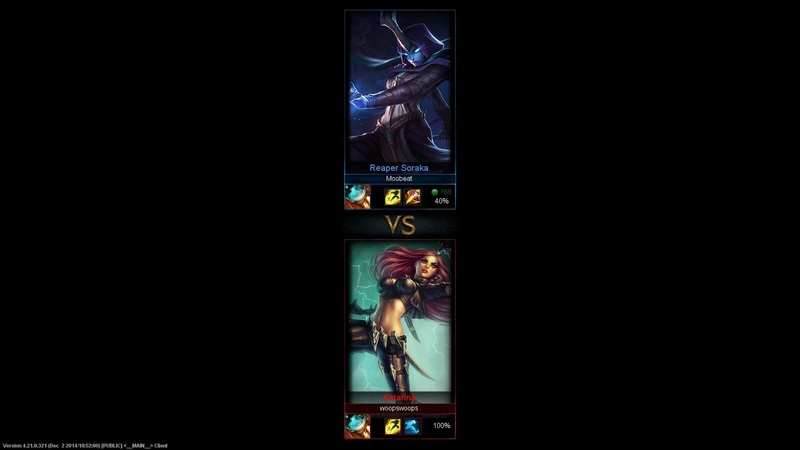 To better match the new team colors, the loading screen frames for Summoner's Rift have been updated to red vs blue instead of purple vs blue. Tooltip has been changed up a bit - instead of % damage increase per spear, it now displays the actual number the damage is increased by. Now restores 20 mana ( up to twice per cast ) if Rend kills target. 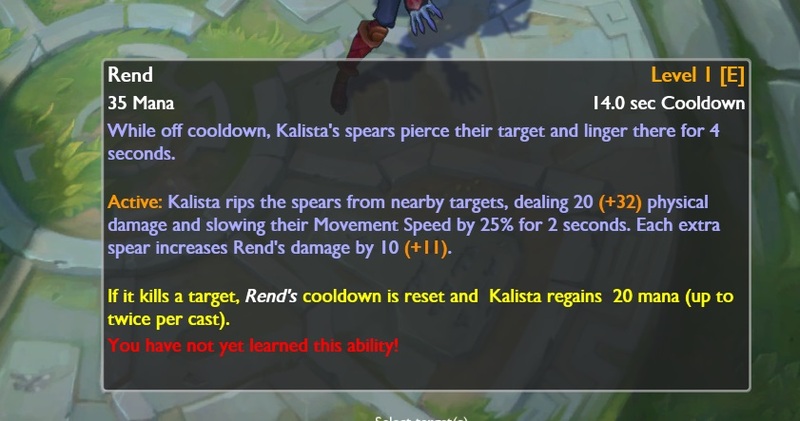 Fury of the Xer'Sai (Passive) tooltip now reads "While Rek'Sai is un-burrowed, Basic attacks and spells generate fury" instead of "Dealing damage while un-burrowed generates fury"
Fury of the Xer'Sai (Passive) tooltip now reads "Rek'Sai's next attack or ability that generates fury will grant 15 bonus fury" from "Rek'Sai's next attack that generates fury will grant 15 bonus fury"
Astral Infusion (W) the AP ratio of the passive effect that heals Soraka when she lands a Starcall on an enemy champion has been increased. Damage reverted back to dealing 40 damage on hit from 25. 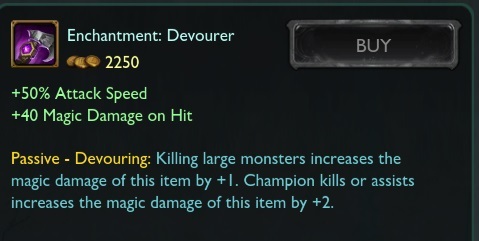 Now grants "Unique Passive - Weapon Specialist: +10% physical damage to champions"
No longer grants 10 armor penetration. See above for more information! Now lists that it can hold two charges and regains a charge every 60 seconds.